Chief Warrant Officer 2 Michael Stephen Duskin, 42, of Orange Park, Fla., died Oct. 23, of wounds received from small-arms fire in Wardak Province, Afghanistan. He was assigned to Company A, 1st Battalion, 3rd Special Forces Group (Airborne), Fort Bragg, N.C., and was deployed in support of Operation Enduring Freedom. 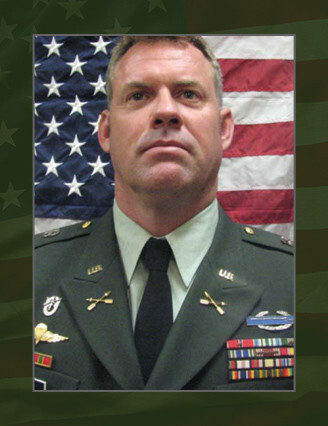 Duskin enlisted as a forward observer in the U.S. Army in 1993. After completion of his initial training, to include the U.S. Army Airborne School, he was assigned to the 3rd Bn., 75th Ranger Regiment. After serving three years with the 75th Ranger Regt., Duskin left active duty and later joined the Florida National Guard. He attended the Special Forces Assessment and Selection Course and graduated from the Special Forces Qualification Course in August 1998. Upon graduation, he was assigned to the 3rd Bn., 20th SFG (A) as a Special Forces engineer sergeant. In 2001, Duskin was mobilized to active duty and deployed with the 2nd Bn., 3rd SFG (A). After the deployment he returned to active duty and remained a member of the unit. He served with the 2nd Bn. for more than five years, deploying four additional times, before being assigned to the U.S. Army John F. Kennedy Special Warfare Center and School as an instructor. While serving as an instructor, he attended the Special Forces Warrant Officer Technical and Tactical Certification Course, graduating in May 2010. He was then assigned to the 1st Bn., 3rd SFG(A) as an assistant detachment commander in Company A. This was his second deployment to Afghanistan in that position. His military education includes U.S. Army Airborne School, Warrior Leaders Course, Advanced Leaders Course, Jungle Operations Training Course, Special Forces Qualification Course, Special Forces Advanced Urban Combat Course, Special Forces Advanced Reconnaissance Target Analysis and Exploitation Techniques Course, the Survival, Evasion, Resistance and Escape Course, Special Operations Target Interdiction Course, Jumpmaster Course, Warrant Officer Basic Course, and the Special Forces Warrant Officer Technical and Tactical Certification Course. Duskin’s military awards and decorations include the Bronze Star Medal (2), the Meritorious Service Medal, the Joint Commendation Medal, the Army Commendation Medal (3), the Army Achievement Medal, the Army Good Conduct Medal, the National Defense Service Medal (2), the Armed Forces Expeditionary Medal, the Global War on Terrorism Expeditionary Medal, the Global War on Terrorism Service Medal, the Humanitarian Service Medal, the Noncommissioned Officer Professional Development Ribbon (2), the Army Service Ribbon, the Expert Infantryman Badge, the Combat Infantryman Badge, the Basic Parachutist Badge, and the Special Forces Tab. He was posthumously awarded another Bronze Star Medal, Meritorious Service Medal, and Purple Heart Medal. He is survived by his wife, three children, sister and parents.